This is absolutely amazing and beautiful! I love the colors you used. Can’t wait to try this soon!! Thanks for the watercolor swatch. Beautiful card. Thanks for the nice instructions and encouragement to try do this. Wow! Awesome watercolouring!!! Gorgeous card!!! Just beautiful…love how you also posted your colour swatch. This looks like it should be hanging in a gallery. So beautiful. Your card and techniques are always spectacular. 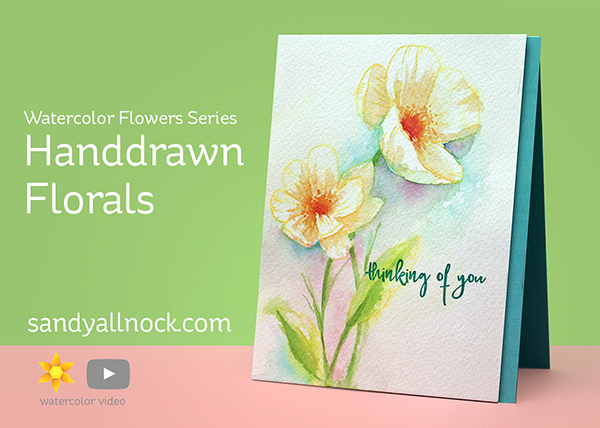 Thank you for showing us yet another great way to use these liquid watercolors! This is gorgeous. It was awesome watching you paint around the flower and seeing it come forward into the foreground. 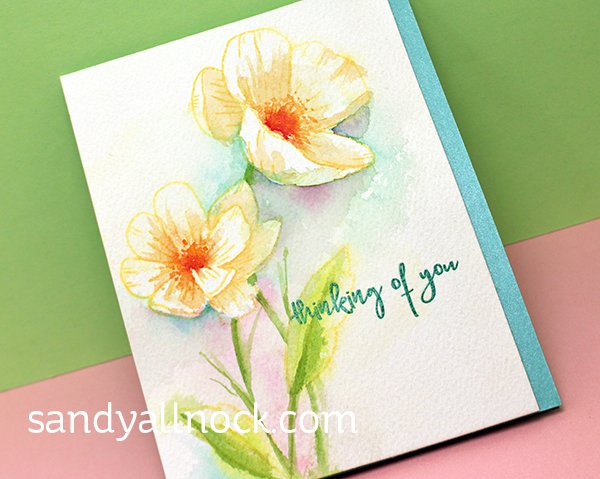 Oh, Sandy, your watercoloring always blows me away! Beautiful card. Have to try the watercolors! Gorgeous flowers! Wow so amazing and I love the comparison video you do with these watercolors. Definitely on my wish list. I love the way these water colors are performing. I can’t wait to try them out. The colors are so beautiful too. Your card is absolutely amazing. Thanks for sharing your inspiration and the video.